Following Nick Hussey’s (@aslongasicycle) progress on Twitter as he was building his brand did nothing but create painful sensations of anticipation. 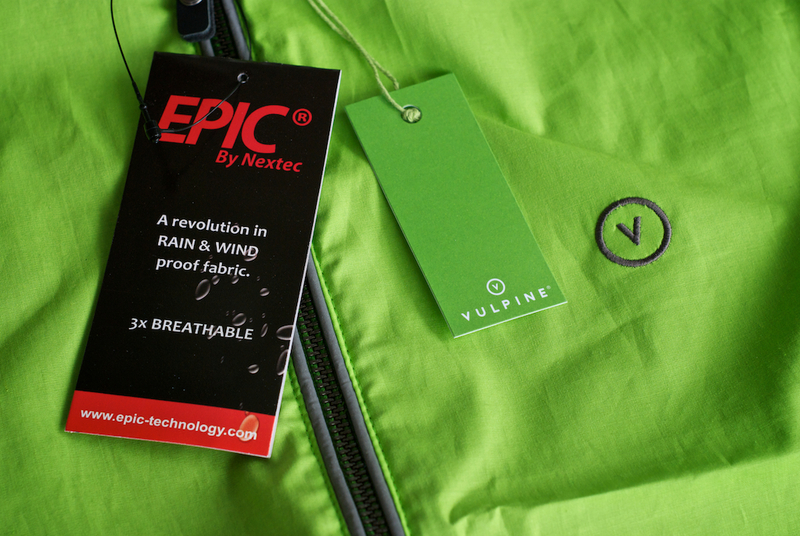 It was actually a relief to see Vulpine (@vulpinecc) launched! 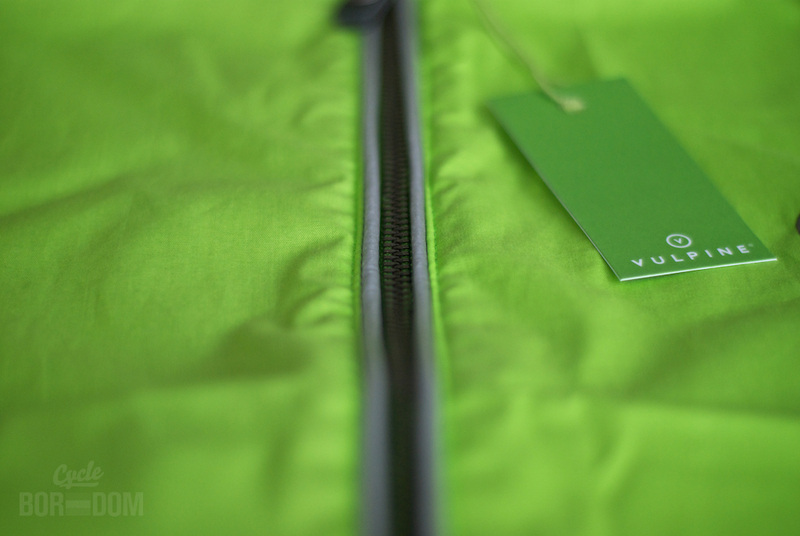 Joking aside, I obviously was eager to get a chance to check out Vulpine’s freshly styled cycling wear. My only hesitation: after knowing Nick through Twitter and definitely wanting him to succeed, would the product be brilliant (or bad), and can I be objective either way? Hey Boredom, WTF?! A HI-VIZ safety vest?! Technically yes, but more technically, no. 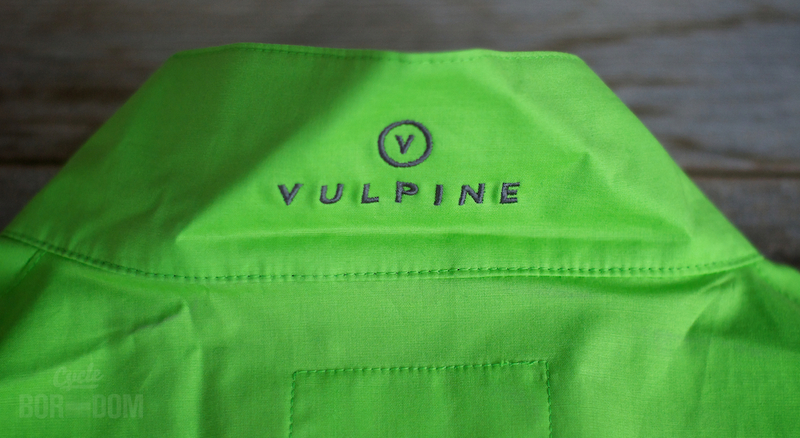 Initial appearances can qualify the Vulpine Cotton Visibility Gilet (£95.00GBP) as the ever-loathsome HI-VIZ safety vest. But beyond the initial, this is far from that design afterthought. 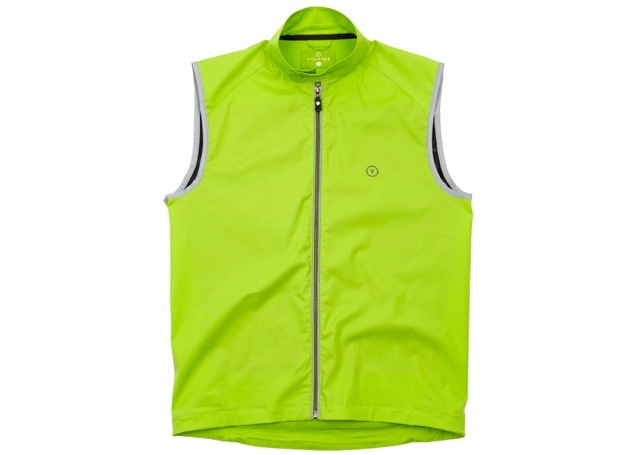 This definitely feels/looks more like a road cyclist’s gilet transformed into a well thought out urban riding piece. The fit is certainly trim—how often does anyone say that about a safety vest? Okay, the argument against that is that a safety vest doesn’t exist for looks. But, why does that have to be the absolute case? Seeing that this is more than a simple featureless safety vest (sensing any bias here? ), let’s look at some what makes this an exceptional piece. Three huge pockets—and I mean huge. 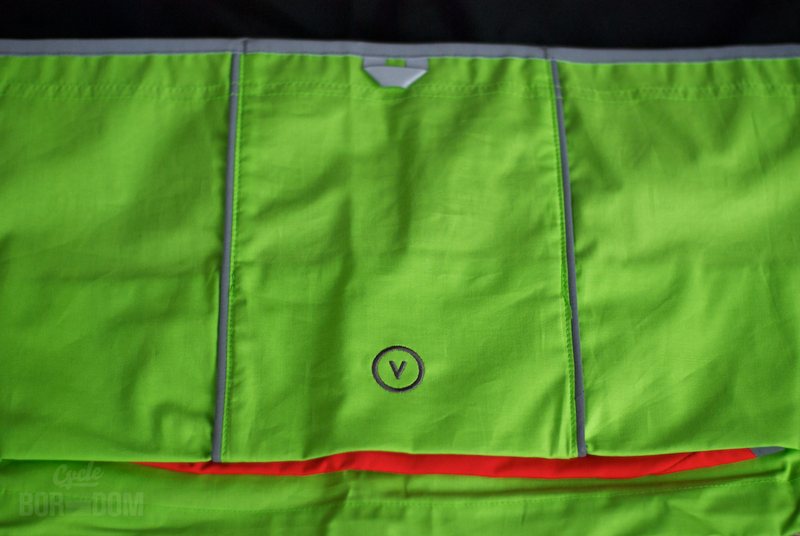 Pocket sections are lined with reflective piping for extra visibility at night. Underneath, lies a fold-out red tail (image further below) complete with additional reflectivity. The magnetic closure is an elegant solution that’s appreciated on chilly mornings. The customized zipper is a nice touch as well. A gilet is just a vest without the mesh. 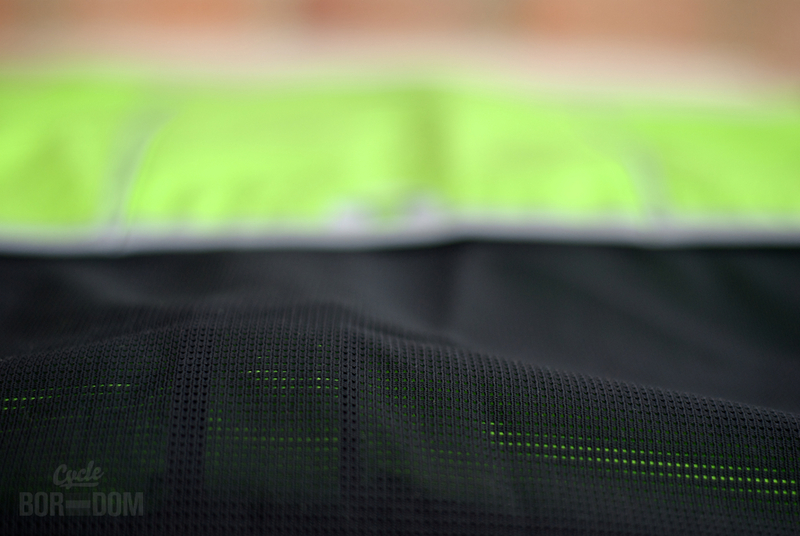 So here’s a shot of the mesh. It works. That’s all I got. I’m not here to preach whether or not such safety items are a necessary factor. I’m here to look at the product before me, and highlight the features and benefits. 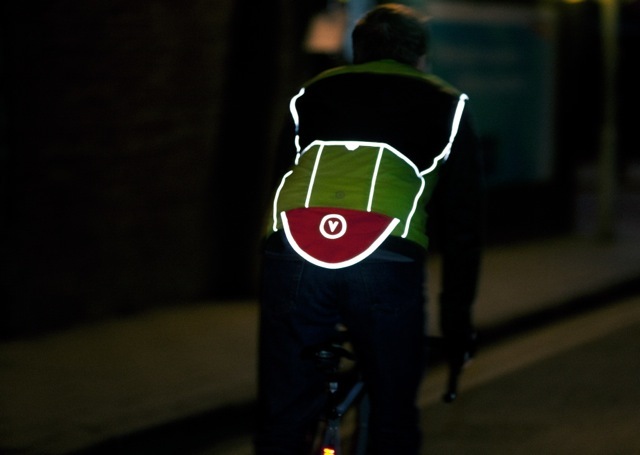 The entire gilet lights up like a freaking Christmas tree—it’s actually quite astounding. 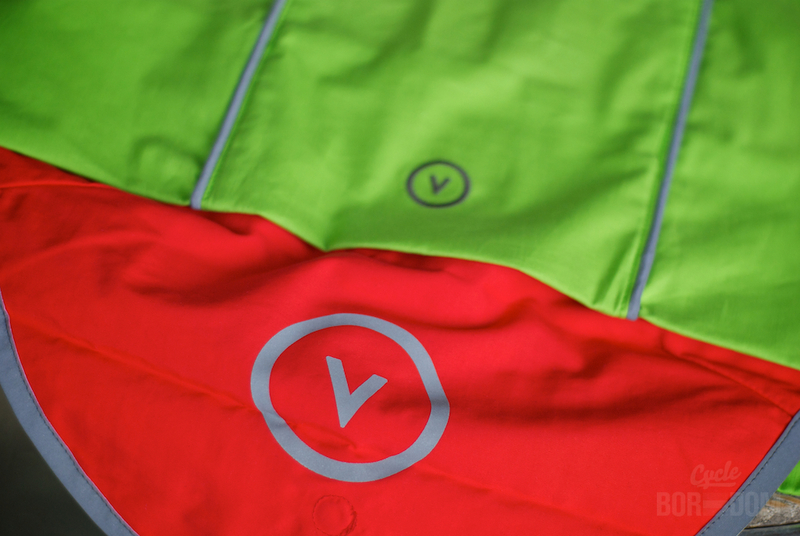 I think it’s safe to say I’m in love with the reflective Vulpine ‘V’ on the fold out tail. Clever branding. Technically, Epic® cotton fabric isn’t [edit: just] cotton. The knit/texture of the waterproof/breathable [edit: coated] fabric mimics that of a fine cotton jacket. 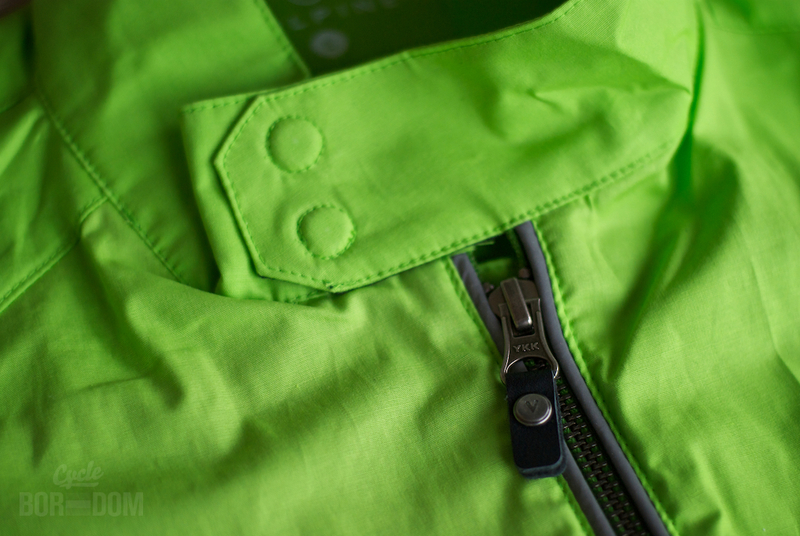 Being so accustomed to a certain feeling associated with technical fabrics, this is a welcome tangible change. Instead of regurgitating something that’s already been written, why not visit Nick’s new baby over at Vulpine.cc. Also, Damien Breen (@damienbreen) over at In The Saddle had a nice chat with Nick that’s worth a look. I have to say I was honestly surprised by the level of technicality and finishing of this piece. Not that I didn’t think Nick and Vulpine were going to bring it, but as an infant company’s first offering this gilet is highly refined. Obviously, there will be much more riding/testing to be performed before I can attest to its staying power technical effectiveness, but it’s looking good so far.